The divorce process in New Mexico will vary according to whether you and your partner agree on the issues related to your case. When partners are in full agreement on these issues, they will have an uncontested divorce case. When there are disagreements about one or more issues, a contested divorce case will ensue. Whether you are moving forward with an uncontested or contested divorce, you can turn to a Los Cruces divorce lawyer at Sutherland Law Firm, LLC for compassion, effective representation and the highest quality legal services. We are ready to advocate your rights, protect your interests and help you get through the conflict and difficult times. Filing the initial divorce petition – This should be submitted, along with the required filing fees, to the family court in county where you live. Different forms are required if children are or are not involved in the divorce. 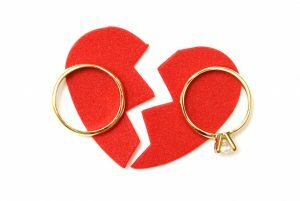 Court forms for initiating a divorce with the Doña Ana County Family Court are available here. Developing a divorce settlement agreement – This agreement will detail how each issue of the case is to be resolved. Both parties will need to sign the agreement before taking the next step. Submitting the agreement to the court – As long as the agreement is reasonable and authorized by both parties, the court will typically approve it, issuing the agreement as the final divorce decree. There will not be any issues to negotiate or fight over in court. The case will involve minimal court proceedings. Filing all necessary court documents to initiate, advance and resolve your case. The court may order mediation before setting a trial date – Mediation can promote compromise and facilitate an out-of-court resolution. Hearings and a trial can be scheduled when mediation fails – Ultimately, the court will make a decision regarding all of the disputed issues in the divorce. For instance, if couples cannot agree on how the marital property should be divided or how custody should be split, the points of dispute will be presented to the court. The family law judge will make the final decision, after reviewing each side’s arguments and evidence. Are focused on protecting your interests and bringing your divorce to an efficient, favorable resolution. Whether you are preparing for an uncontested or contested divorce, contact a Las Cruces divorce lawyer at Sutherland Law Firm, LLC for helpful advice and effective representation as you move forward. Call 505-293-9333 or email our firm. Diligent and insightful, our attorneys have more than four decades of experience representing clients in various types of divorce cases. This means we have the knowledge and skills you can trust when it’s time to face the uncertainty and challenges of divorce. Let us help you successfully navigate the complexities ahead so you can obtain the best possible outcome and focus on your new beginning.